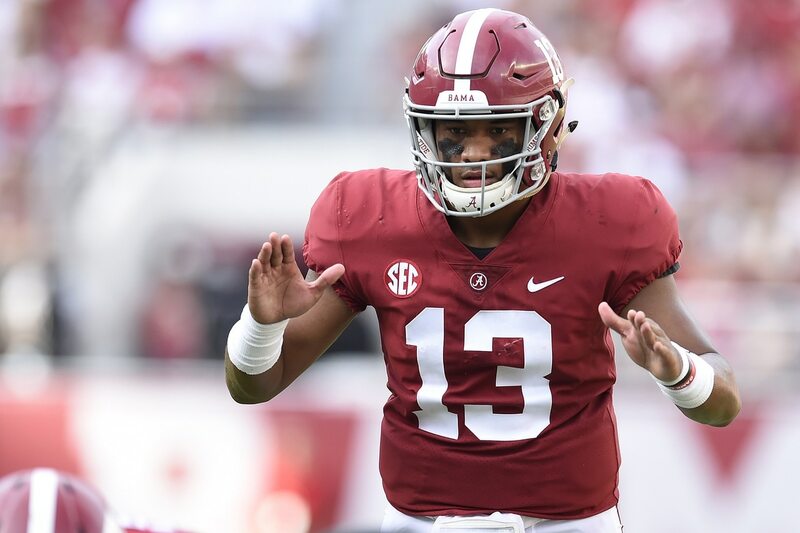 Tua Tagovailoa is the deadliest passer in the nation. He’s proved that time and time again already this season, and once again on Saturday he put points on the board in no time flat. On the game’s second play from scrimmage, Tagovailoa hit Jerry Jeudy on an 81-yard touchdown strike to put the Crimson Tide up 7-0. Drew Lock quickly threw an interception, and ‘Bama put another three points on the board four plays later.